You may think of Google as a Web search company. Google CEO Larry Page does not. He thinks of Google as a technology company. He believes Google’s mission is to identify human problems than can be solved with technology and then come up with the technologies that solve those problems. It’s a pretty broad mission. Know exactly where shoppers are in stores, so that Google can tell them what products are available in the aisle they are walking down. Some of the products on this list are obviously related to Google’s core business, Web search. Chrome and Android assure that a Google search bar is never far from almost all Web users. But it’s a pretty wild and varied list. Who knew that Google made a spoon? So far, shareholders are not punishing Page for a lack of focus. Google is up more than 6% this year. Obviously, that’s not because of the robots or contact lenses Google is working on. It’s because Google has the world’s most lucrative Internet business pumping the place full of cash: search advertising. There is little reason to worry that search advertising will go away any time soon. There is some reason to worry it will stop growing so fast, though! 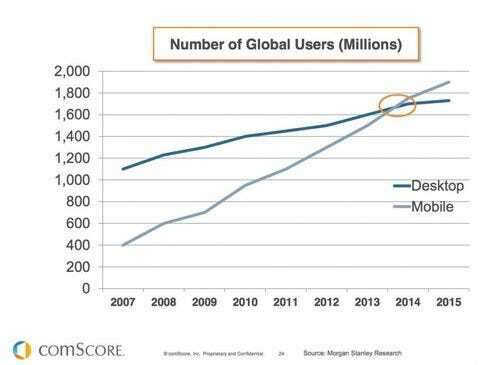 People are using the Internet on their phones more than they used to. 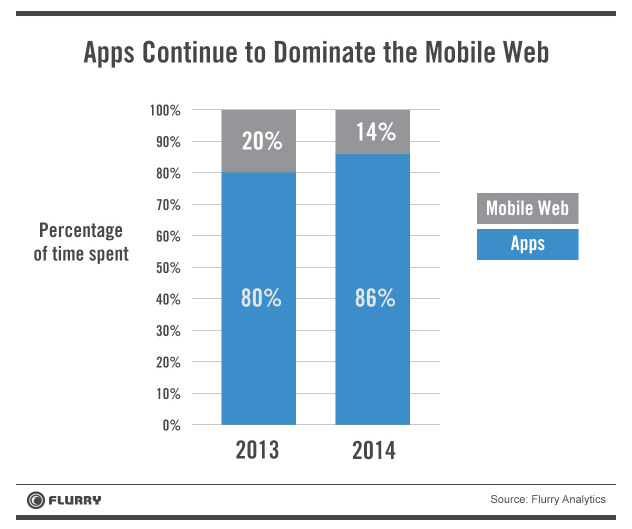 And, when people use the Internet on their phones, they are increasingly using apps instead of the Web. But don’t worry about any of that, Larry! The rest of us can’t wait for self-driving cars. ជារៀងរាល់ថ្ងៃ ខ្ញុំឃើញការលំបាករបស់អ្នកហាក់ដូចជាធំធេងណាស់។ ឬមួយមកពីខ្ញុំមិនដែលបង្ហាញពីផលលំបាករបស់ខ្ញុំប្រាប់អ្នកដទៃ បានជាគេមិនដែលយល់ថាខ្ញុំខ្វល់ព្រួយសោះ? មែនហើយ!​ ភាគច្រើន មនុស្សនៅលើលោកនេះ គ្រាន់តែចង់ស្វែងរកធុងសម្រាមដែលគេអាចបោះចោលរាល់ទុកកង្វល់ និងបញ្ហា ឬកំហឹងរបស់គេតែប៉ុណ្ណោះ។ ឬមកពីធុងសម្រាមវាមិនចេះនិយាយ? ធុងសម្រាមគេបង្កើតមកដើម្បីដាក់សម្រាម ចុះឯងនេះកើតមកដើម្បីទទួលសម្រាមរបស់អ្នកដទៃ ទាំងខ្លួនឯងក៏មានសម្រាមស្ទើរកប់រន្ធដង្ហើមបែបនេះមែនទេ? មែនខ្ញុំធំហើយ! ចុះអ្នកដទៃមិនទាន់ធំមែនទេ បានជាចេះតែមកទំលាក់គ្រប់រឿង គ្រប់ហេតុមកក្នុងជីវិតខ្ញុំ? ជួនកាលគេមិនចង់ឲ្យខ្ញុំនិយាយអ្វីទាំងអស់។ អ្វីដែលគេចង់បានពិតប្រាកដ គឺជួបជាមួយដុំថ្មមួយដុំ វាយទាត់ធាក់ នោមដាក់ បញ្ចេញកំហឹង ជេរស្ដីហើយ ក៏ដើរចេញទៅ។ គេមិនចង់បានការតបត ឬដោះស្រាយអ្វីទាំងអស់។ ពេលខ្លះ គេហាក់ដូចជាចង់បានយោបល់ពីយើង បន្ទាប់ពីគេរៀបរាប់អស់សេចក្ដីហើយ តែចំពោះគេ យើងគ្រាន់តែជាមនុស្សគ្មានសម្លេង។ គេសម្លឹងមើលមកយើង ទាំងយើងតាមពិតគ្រាន់តែជាបំពង់ខ្យល់គ្មានសម្លេងតែប៉ុណ្ណោះ។ ឬមកពីត្រចៀករបស់គេបិទអស់ទៅហើយ? ឬគេកំពុងគេងបើកភ្នែក? ពេលខ្លះ យើងគួរតែតាំងខ្លួនថា យើងគឺជាយើង។ ហើយសម្រាប់ពួកមានពុតត្បុត ចង់តែមកបៀតបៀនផ្លូវអារម្មណ៍របស់អ្នកដទៃ ពេលខ្លះភ្លេចពួកអស់ហ្នឹងខ្លះក៏បាន។ ពេលខ្លះ យើងគួរតែទទួលស្គាល់ថា យើងជាអ្វីឲ្យប្រាកដ។ តើយើងជាធុងសម្រាម ឬជាបារីបំបាត់ក្ដីកង្វល់របស់គេ? ពេលខ្លះ ពួកគេគួរតែធ្វើជាមិត្តដ៏ល្អ ដែលព្រមធ្វើជាធុងសម្រាមឲ្យគ្នាទៅវិញទៅមកក៏ល្អ។ ឬបើល្អជាងនេះ​ គ្រប់គ្នាគួរតែតាំងខ្លួនជាសៀវភៅ ដែលយើងអាចចែករំលែកបទពិសោធន៍ សិក្សាពីគ្នា ស្វែងរកដំណោះស្រាយ ហើយចងចាំអ្វីដែលគ្នានិយាយ (មិនមែនឲ្យគេនិយាយចោល ហើយខ្លួនឯងមិនស្ដាប់) និងអាចឲ្យគេយកដំណោះស្រាយល្អៗទៅប្រើប្រាស់បាន។ តើអ្នកជាអ្វី? ជាធុងសម្រាមដែលគេមករកតែពេលគេមានបញ្ហា ហើយមិនខ្វល់ពីតម្លៃរបស់យើង? ជាធុងសម្រាមឲ្យគ្នាទៅវិញទៅមក ដែលពេលយើងនិយាយ យើងក៏ហាក់ដូចជានិយាយចោល ពេលគេឲ្យយោបល់យើងក៏មិនស្ដាប់? ទីបំផុត ខ្ញុំគ្រាន់តែជាធុងសម្រាមប៉ុណ្ណោះ នៅពេលនេះ! តើយើងជាអ្នកសម្រេចថាយើងជាធុងសម្រាម ឬគេជាអ្នកសម្រេចថាយើងជាធុងសម្រាម? Creative Pills is a lecture series for building up our creative community at iDE. They are free, monthly events that feature a short talk, Q+A and coffee + snacks organized by iDESIGN. Join us for only one hour!!! For who? Everyone! In 2013, more than 1.8 million people were affected by heavy rain and flash floods across 20 Cambodian provinces, leading to losses of over $356 million USD. As a response to this, People in Need undertook the development of the EWS 1294 Early Warning System which delivers voice based alerts in the event of a natural disaster in Cambodia. For this month’s Creative Pills session, Jeppe Mariager-Lam, the Technology for Development Manager at People in Need, will be delivering a TED Talk style presentation about this Early Warning System. He will be demonstrating how the smart sensors were developed and installed, how the system works and its impact on disaster preparedness in Cambodia. The system currently has 85,000 users across 11 disaster prone provinces, and is expected to be installed country-wide by 2019.